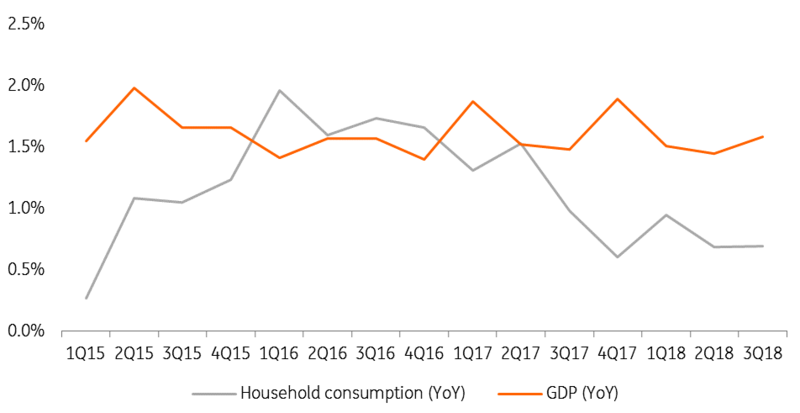 In 2019, we believe the recent indexation of wages and social benefits combined with jobs creation and lower energy costs should help maintain positive growth of household consumption, despite an uncertain general economic background. However, no strong rebound is expected. Belgian foreign trade, which contributed significantly to economic growth in 2018, risks being affected this year by the weakening of economic growth in the eurozone, by the tensions in international trade (including between the US and the eurozone) and Brexit. Taking these elements into account, we expect GDP growth to be limited to 1.3% this year and in 2020. It should also be noted that this scenario takes the Belgian political context into account and, in particular, the fact that new economic policy initiatives will be rare in 2019. Just before Christmas, the Belgian king accepted the resignation of prime minister Charles Michel and the Belgian government. But given that parliament has not been dissolved, the minority government remains in place as a caretaker government and will stay until a new government is in place after the federal elections in five months. The majority of parties prefer to keep this date and not call early elections so, in the meantime, we shouldn't expect much in terms of economic policy as the government can't take on any initiatives and would have difficulty finding a majority for any propositions anyway. After the elections, the caretaker government will have to stay in place until a new majority is found, which is likely to take some time. Bear in mind it took 541 days after the 2010 elections to form a new government, and in 2014 it took 4.5 months. 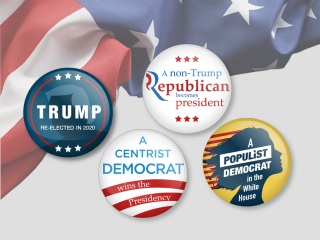 Following the latest polls, various coalitions are possible, and no party would be unavoidable at the federal level. However, the only coalition that could win a majority in both the federal parliament and the Flemish and Walloon parliaments would be the N-VA, the liberals and the socialists. That said, after previous federal and regional elections, the N-VA and the French-speaking socialist party have refused to work in the same government. Therefore, it is highly likely that the majorities will not be symmetrical between federal and regional levels. Therefore, this will require longer negotiations and diminish the effectiveness of economic policy afterwards. A new state reform could also be the price to pay for having a government at the federal level. As a consequence, a caretaker federal government will remain in place for most of 2019 without any real economic policy initiatives. But, at the same time, the regional governments are still in place and are often formed faster than the federal government after elections. This situation should not necessarily jeopardise the state of public finances but, admittedly, savings measures decided by the previous government will not now come into force in 2019. Based solely on the measures that had been voted, the central bank expects a deterioration of the budget deficit, from -0.8% of GDP in 2018 to -1.6% of GDP this year. This deterioration, which does not meet the objectives of the European Commission, would nevertheless allow the debt ratio to fall slightly from 102.3% in 2018 to 101.4% of GDP in 2019. The Belgian economy will be dependent mainly on the global and European economic context, especially in 2019. 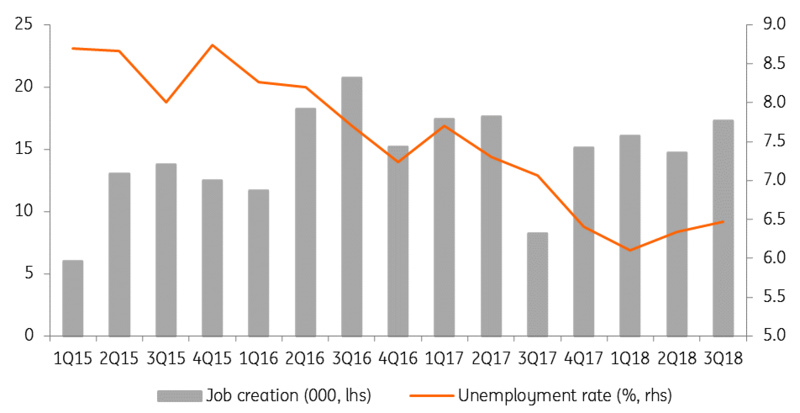 But given that no significant growth acceleration is expected anytime soon, Belgian economic activity is likely to suffer.